Not all vines can climb all structures, so it’s important to match the plant to the support. Some plants climb by twining around a support. Some use elogated leaf stalks or tendrils to anchor themselves. And some climb by attaching themselves with little adhesive disks. Examine your plant or look up the plant in a reference to determine how it climbs. That way, you won’t disturb the root system. Anchor the trellis in the soil and/or against a building so it’s sturdy enough to support the weight of the mature plant. “Climbing” roses don’t actually climb, they simply produce especially long canes that can be attached to a trellis. Many vegetables are available in both “bush” types and “vining” types. Bush varieties remain relatively small, so for your vertical garden, choose vining or climbing types. 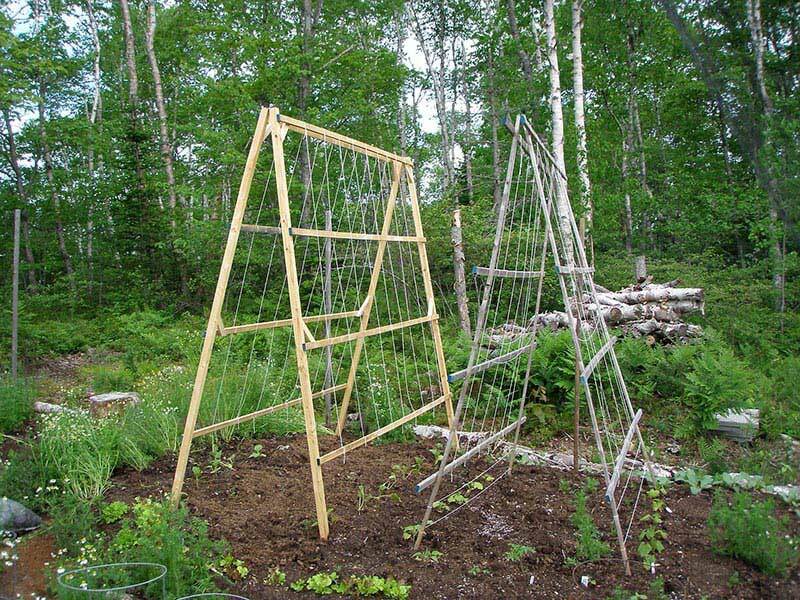 When planting beans or peas along hog panels or a wooden structure, plant on either side of the trellis to best utilize space. Seed the vegetables approximately 2 inches apart in rows 10 inches wide. Train the young seedlings to grow through the panels or the chicken wire. 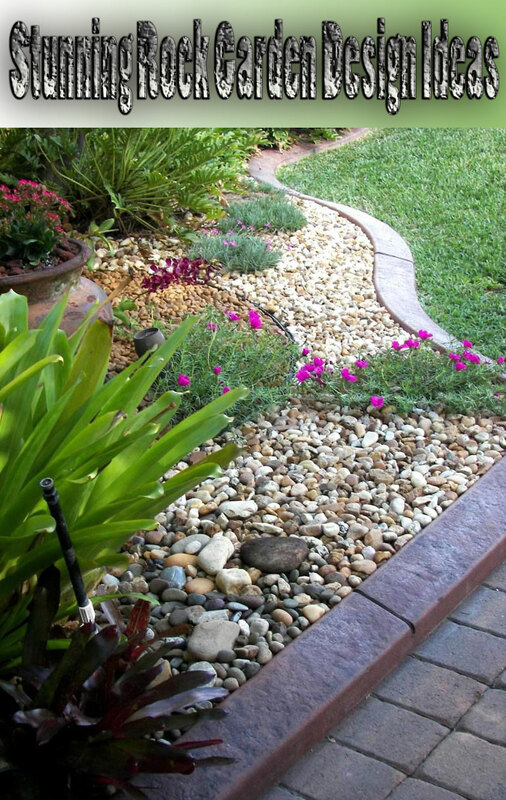 They’ll naturally cling to the nearest structure, but occasionally a stray plant will flop to the ground if not given a little help. 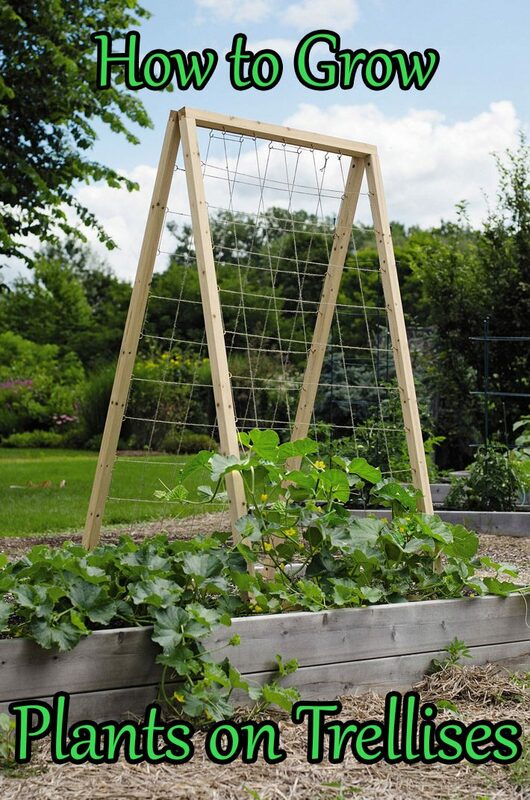 Morning glories, pole beans, honeysuckle and clematis are some of the many plants that twine. 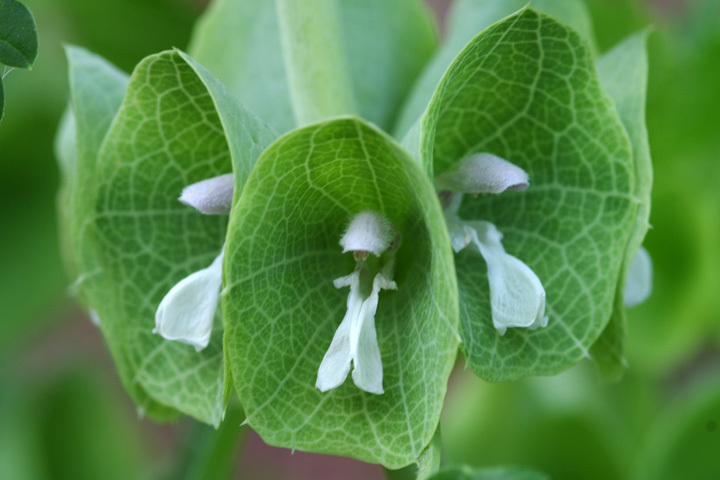 There are two important differences among twining plants: they either have twining leaves or twining stems. Plants with twining leaves, such as clematis, use their leaves like tendrils. The young leaves of these plants are able to twist around slender wires, string, twigs or other leaves. The key is to provide a thin enough support for the leaf stem to curl around. A lattice made of 1-inch wide slats won’t work for leaf twiners. Twining stems twist around whatever they touch, be it a pole, branch, wire or chair leg. The stems will wind clockwise or counterclockwise, depending on the species of plant. There are loosely twining stems such as gourds, and strongly twining stems such as thunbergia, wisteria, morning glory, jasmine and Dutchman’s pipe. Some of these twining vines can grow very large and become extremely heavy. Wisteria is famous for pulling down porches and garden structures. 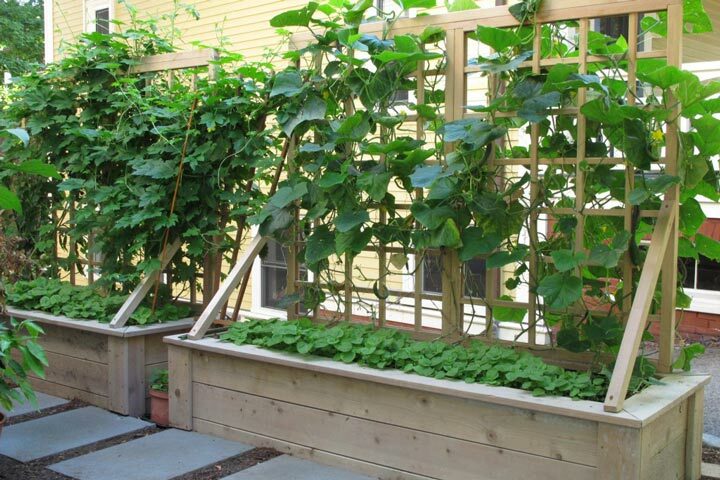 If you are planting a perennial vine that will eventually become very large, be sure to provide strong support.